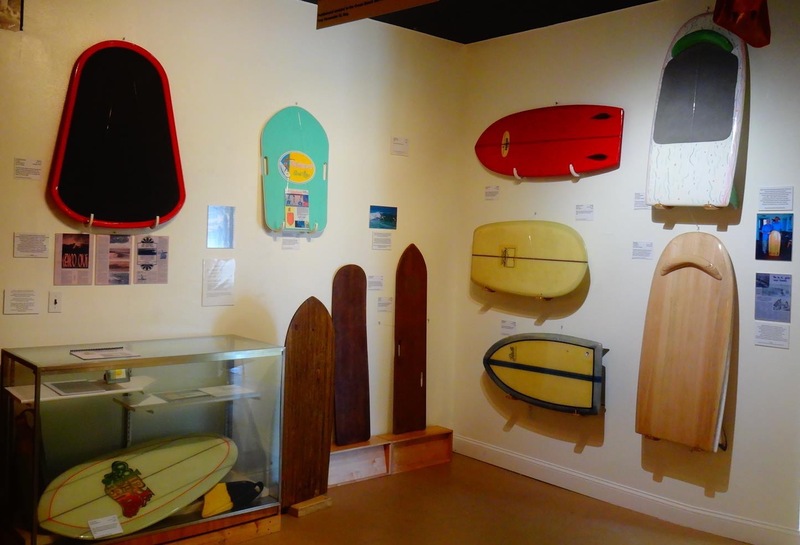 This exhibit opened on April 19, 2014, and explored the history and evolution of paipo riding, or bellyboarding, and it’s relevance to surfing culture. 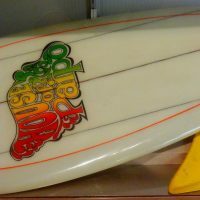 Paipo riding is experiencing a resurgence of interest after falling into obscurity due to the worldwide popularity of Tom Morey’s Boogie Board. 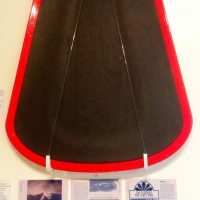 Surfers exploring the roots of surfing have discovered that paipos are a valid part of the wave riding experience and they deserve a place in modern surfing. 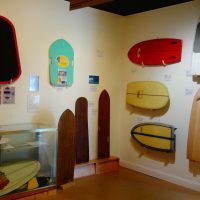 The exhibit included a display of of paipos, with a collection spanning nearly 100 years, from early wooden bellyboards to modern high-performance paipos. 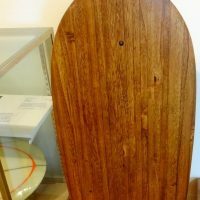 Words and photos described the history of paipo riders and innovators and their connection to the present. 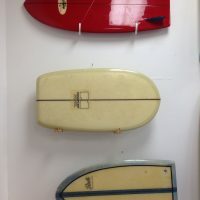 Josh Klein, of Xylem Surfboards, gave a presentation on modern paipos, including examples of his line of wooden paipos. 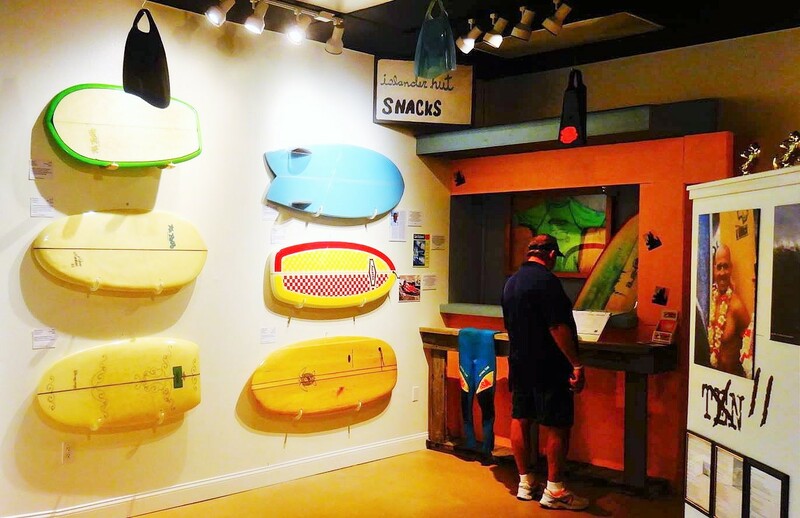 This exhibit was curated by Rod Rodgers, one of the foremost authorities on paipos. For more information please visit his site, http://mypaipoboards.org. 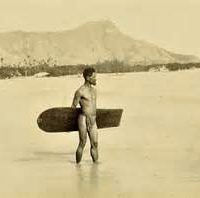 Famous photo of a late 19th century surfer in Hawaii holding an Alaia board wearing a Malo, or traditional loincloth. Photo taken from the internet. 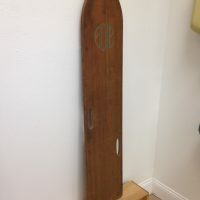 Wooden Edie paipo with offset side handholds, common shape in the 1940’s, owner’s name was Edie. ca. 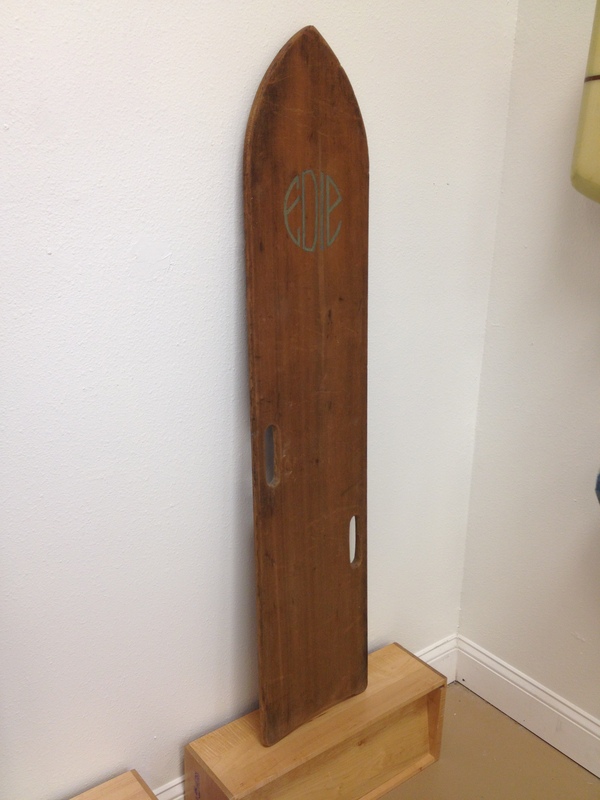 1940’s, 53″x11 1/2″x3/4″, Finless. On loan by John Hughes, Merritt Island, FL. 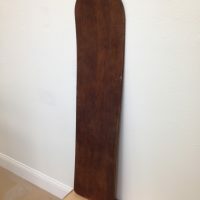 This style of board was commonly used in Muizenberg, South Africa and Cornwall, England since the early 20th century and the mid 20th century in Spain and France. 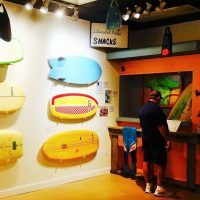 Donated to the Florida Surf Museum by an actor visting from the United Kingdom. Part of Museum archives. 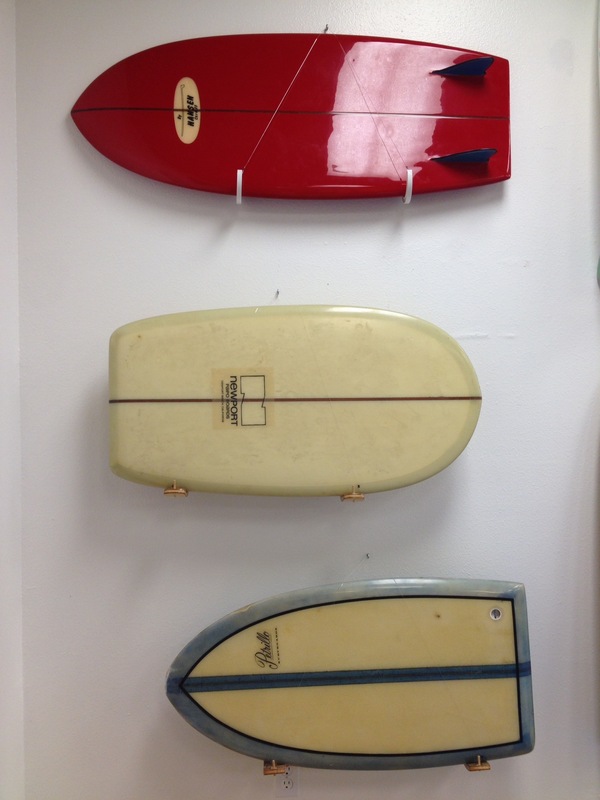 Local paipo boards, two belonging to Logjammer (Chris Harazda). Three modern style glassed paipos on display at the Museum exhibit. 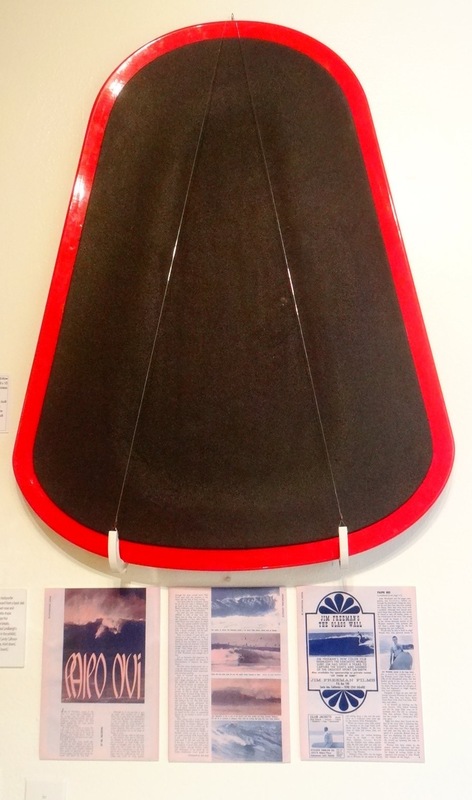 A more modern version of the Paipo by Rick Newcombe for the Newport Wedge. 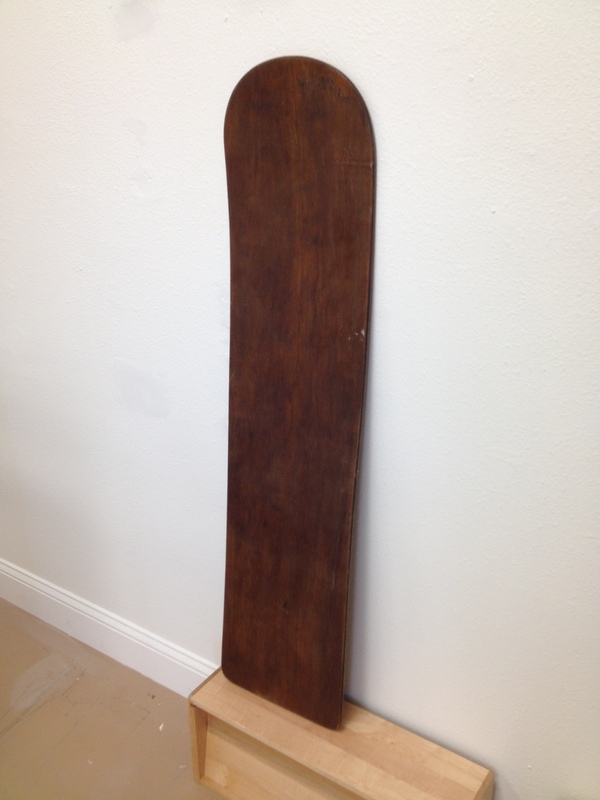 Single Fin, 44″x20 1/2″x2 1/4″. On loan from Chet Halleck, Washington, DC. A modern paipo, Hawaiian Paipo Designs XL Model, Hilo Big Island, Hawaii. 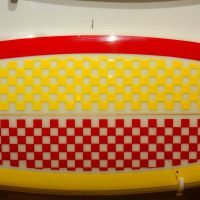 40″x30″x1/2″, Foam/glass, Finless. 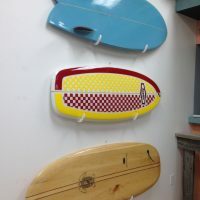 (hawaiipaipodesigns.com) On loan from Kim Kelly, Cape Canaveral, FL. 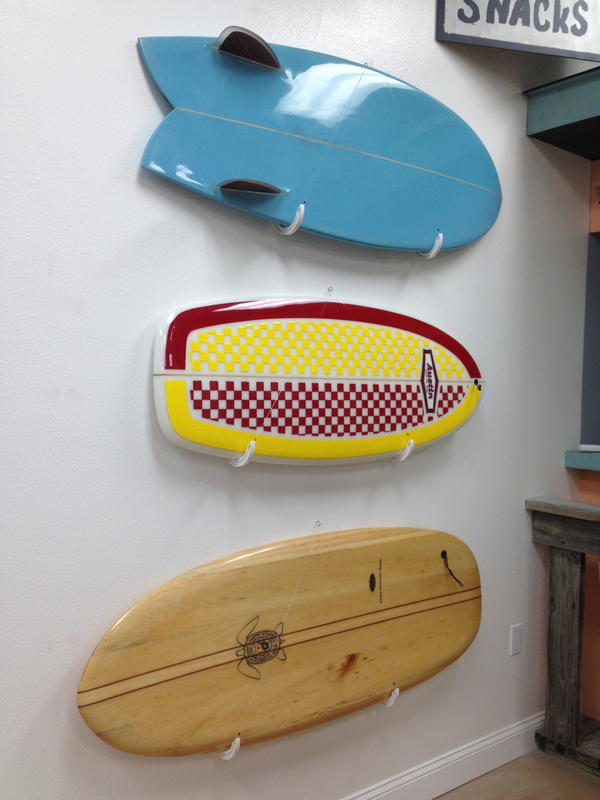 Xylem Surfboards, Malama Kai, by Josh Klein, Wilmington NC, 2014. 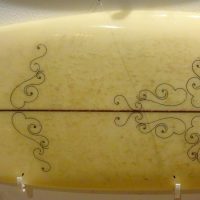 Finless, 48″x 18″x 1 1/4″. Solid paulownia wood with dark tung oil coating. Design based on ancient Hawaiian paipos in the Bishop Museum. On loan by Josh Klein, Wilmington, NC. View of the Paipo Museum Display from inside the Museum looking to the right. View of the paipos on display from inside the Museum looking to the left hand corner.